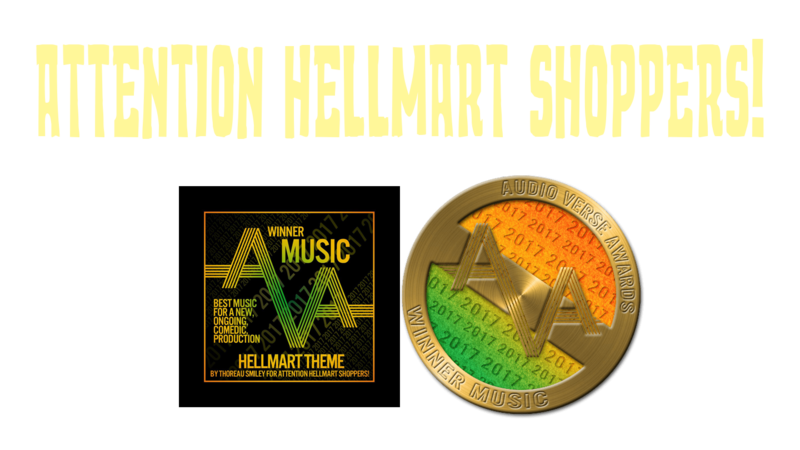 Uncategorized – Page 2 – Attention HellMart Shoppers! Attention HellMart Shoppers! Thoreau here! This is just a quick update on our schedule for the holidays and the remainder of season 1. Our Christmas special is coming Monday, December 18th, and will be the only episode released in December, and our last episode of 2017. That does not include patreon bonus mini episodes. Or patrons will continue to get bonus Episodes through December! As for regular episodes, our next release, Episode 12, is coming January 8th, and we will then resume our normal semi weekly release schedule. Our final episode of season one will be released March 5th, 2018. Thank you for listening, everyone, and thank you for shopping HellMart, we hope you never leave! PS: Go To The Audioverse Awards to vote for us in 3 categories! Another Halloween Mini Episode on the way ? Woo-Hoo!